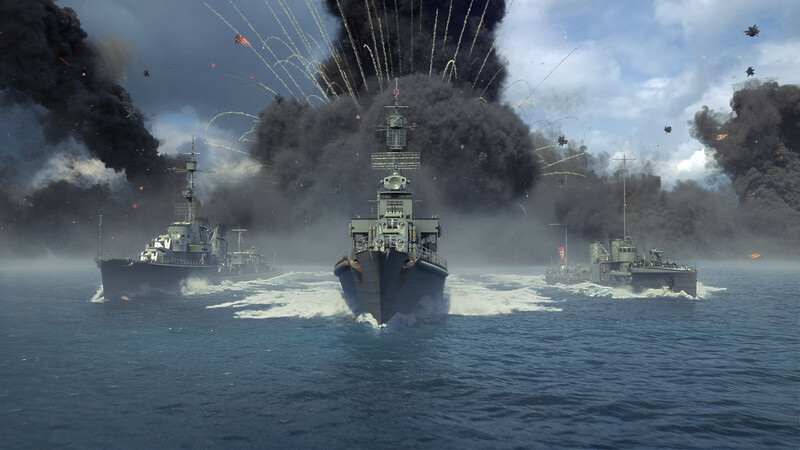 Wargaming is continuing to work on situations when battleships cause too much damage with AP shells to destroyers. This happens when destroyers are at an angle and the shells arm inside the hulls. One of the solutions that will be tested in a closed environment is the decrease of destroyer plating from 19 to 13 mm. This will only apply to tier X ships on the test, but might later spread to tier VI, VII, VIII and IX ships. Other specific protection traits, like Khabarovsk’s increased armour, will remain. The plating change will make it impossible for AP shells of 380 mm and higher calibre to arm above the surface, which will lead to decrease in overall damage from AP shells to destroyers. The possibility of dealing damage with such shells if they arm in the water still remains, but it is pretty low, to begin with. Value of heavy cruisers in battle will increase since 203 mm AP shells will stop ricocheting off of destroyers’ plating. This will also affect Akizuki’s 100 mm main batteries and battleship secondaries – their HE shells will start to penetrate the plating and deal damage to destroyers. This way the amount of damage received by destroyers should remain the same on average, but the bulk of it will come from cruisers and battleships secondaries.